Though not as well remembered as several of his contemporaries such as Federico Fellini and Luchino Visconti, Pietro Germi was a respected director of Italian dramas and – mostly – comedies from the 1950s to the 1970s. Two of Germi's best-known comedies, Divorce Italian Style (1961) and Seduced and Abandoned (right, 1964), will be screened at the Los Angeles County Museum of Art this weekend, Aug. 1-2. Though the former is probably Germi's most famous effort – Divorce Italian Style was a huge worldwide hit at the time – Seduced and Abandoned is by far the best film of the two. In Germi's scathing satire on patriarchal mores, Saro Urzi is perfect as the rabidly traditionalistic Sicilian father who will do whatever it takes to protect his family's honor. Stefania Sandrelli, for her part, looks lovely in the title role, as Urzi's unhappy daughter and bride-to-be. 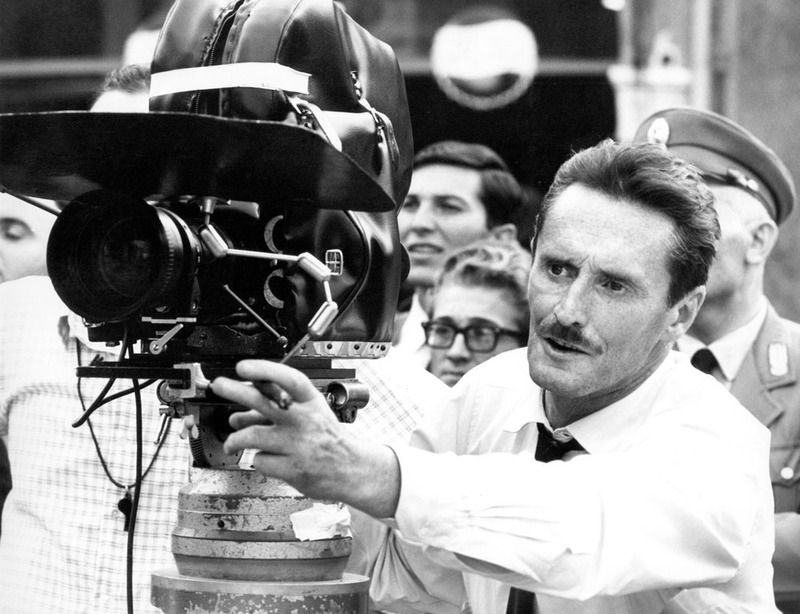 Germi (as director) and Mastroianni received Academy Award nominations for Divorce Italian Style, while Germi, Ennio De Concini, and Alfredo Giannetti won the best original screenplay Oscar of 1962. Synopses from the LACMA website. Baron Ferdinando Cefalù longs to marry his nubile young cousin Angela, but one obstacle stands in his way: his fatuous and fawning wife, Rosalia. A hilarious and cutting satire of Sicilian male-chauvinist culture, the film won an Academy Award for Best Original Screenplay in 1962. 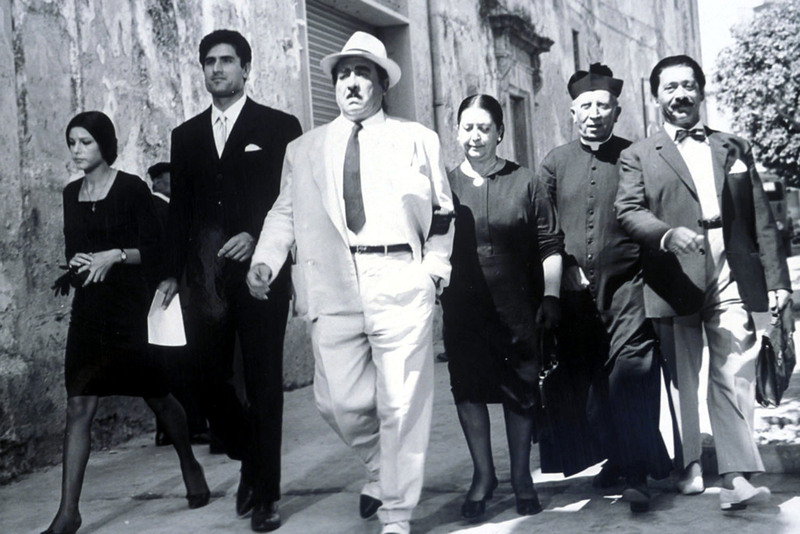 “One of the greatest films about Sicily. Ferdinando remains one of the great icons of my movie-going memory. Has some of the richest, most beautiful black and white photography ever put on film and, sensual atmosphere, where lust and passion become almost aromatic. Very inventive, it really moves, as few films do, with deftness and the driest, most cutting wit… It's a film that truly haunts me. As funny as it is, the emotions that Germi was dealing with were primal, savage, and most disturbingly of all, eternal.” – Martin Scorsese. Shotgun weddings, kidnapping, attempted murder, emergency dental work – the things Don Vincenzo will do to restore his family's honor! Germi's follow-up to his international sensation Divorce Italian Style skewers Sicilian social customs and pompous patriarchies with a sly, devilish grin. “Maliciously funny … in a crowded, cartoonish style that suggests the work of Preston Sturges.” – Dave Kehr, Chicago Reader. 1964/b&w/117 min. | Scr: Pietro Germi, Luciano Vincenzoni; dir: Germi; w/ Stefania Sandrelli, Saro Urzi, Aldo Puglisi. I'm pretty sure I watched The birds the bees and the Italians ages ago. It was only recently that I learned that it was a film of his.